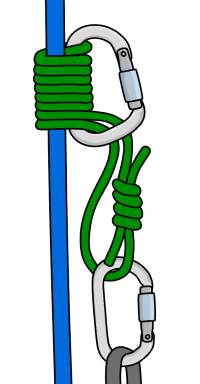 A prusik is a short piece of cord which can be wrapped around your climbing rope to add friction. 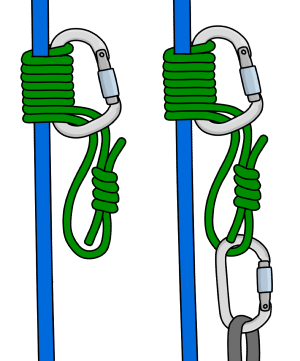 They can slide up and down easily, but lock around the rope when weighted. 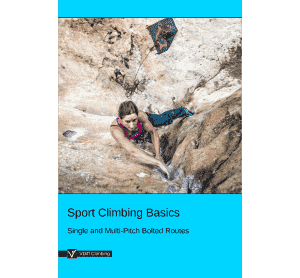 They are most commonly used for abseiling but are also incredibly useful in a variety of emergency situations such as ascending a rope or escaping the system. 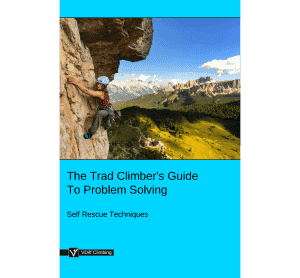 The diameter of your cord should be 60% to 80% of the rope’s diameter, whether you are using the prusik on one rope or two. 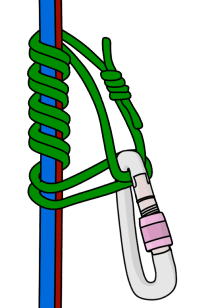 If you use a cord that is too thin, it will tighten easily around the rope and will be difficult to move freely. If you use a cord that is too thick, it won’t have enough friction to lock up when you need it to. In general, 6mm cord works well on 10mm ropes, whereas 5mm cord is better for 8mm ropes. The cord length should be 1.2m - 1.5m. Prusiks are usually made out of nylon cord, tied together with a double fisherman's knot. 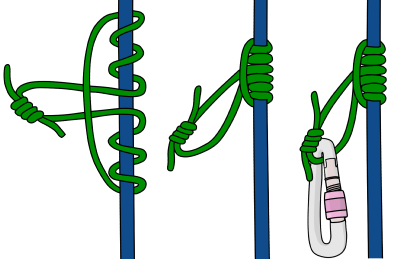 If the cord is too stiff, it won’t lock properly around the rope. 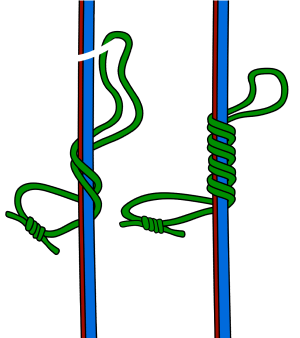 The stiffness may also make it difficult to create the knot itself. 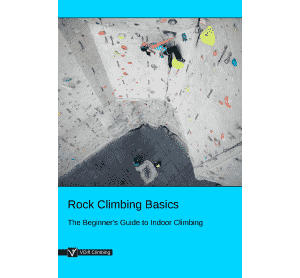 Test your cord before you take it climbing so you can be sure that it works. If you are planning to use your prusiks frequently, you should consider buying some pre-sewn prusik loops. These come in a variety of forms, either without a bulky knot or with the knot sewn together and covered by a plastic sleeve. 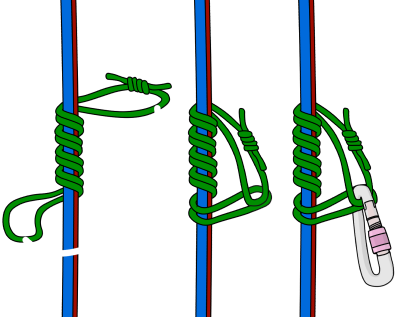 Pass the cord around the rope and through itself as shown, making sure the double fisherman’s knot is at the end. Pass the cord around the rope and through itself again. 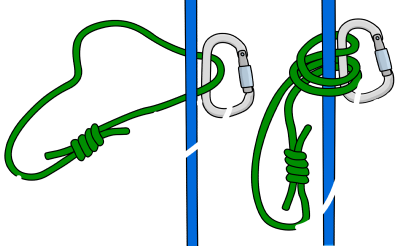 Make at least three wraps around the rope, pull the cord tight and clip a carabiner through the loop. Make sure the knot is neat. Pinch the knot to loosen it. This allows you to move it up or down the rope. Weight the knot in either direction to lock it. 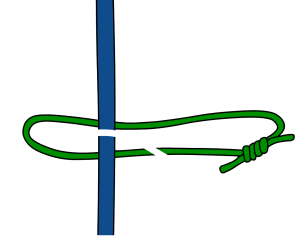 If the knot gets stuck, you can push some cord in from the center of the knot to loosen it. 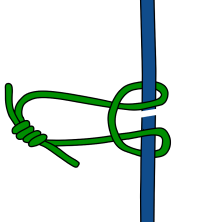 Wrap the prusik neatly around the rope a few times as shown. Clip the ends together with a carabiner. 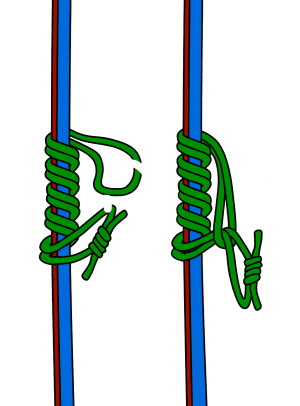 More wraps will create more friction around the ropes, though four wraps are generally enough. Make sure the autoblock is neat and the double fisherman's knot is away from the ropes. Pinch the knot to loosen it. This allows you to move it down the rope. Weight the knot to lock it. 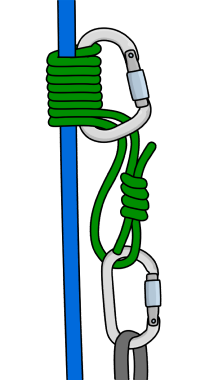 The autoblock locks in both directions, but the double fisherman's knot tends to wrap itself into the prusik when the direction is switched, making it much less effective. Pass the rest of the cord through the loop. Weight the knot downwards to lock it, or push it upwards to release. Clip the cord through a carabiner. Wrap the cord around the rope, feeding it through the carabiner each time. Keep the wraps snug to each other. Allow the end of the cord to hang down through the carabiner. Clip your load to this end. Do not clip your load to the carabiner which functions as the ‘handle’ – this will release the knot! Push the handle carabiner up the rope to release the knot. Weight the lower carabiner to lock it. - Prusiks are not full-strength attachment points. Always have a back-up so you’re attached to the rope ‘properly’. - Make sure not to wrap the double fisherman’s knot into any friction hitch. This will greatly decrease the knot’s effectiveness. - The number of wraps should be increased or decreased depending on the cord stiffness, cord diameter and moisture conditions, with three wraps as a minimum. 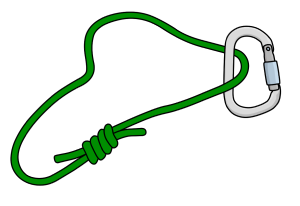 Before using any prusik knot, test it to see that it grips and releases well. - If you don’t have a prusik cord, you can use a sling instead. Slings don’t work quite as well but it’ll help you get out of a tricky situation. A narrow nylon sling is better than dyneema (spectra). Don’t use a sling for anything except a prusik after using it once as a prusik. 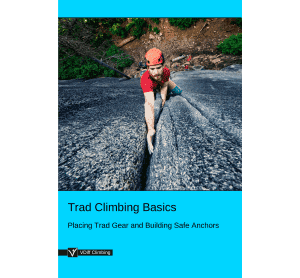 - If using prusiks in conditions where they might fail (e.g; prusiking up a wet or icy rope), it’s better to use two different types of friction hitch (and a full strength back-up, of course). If conditions exist to cause one to slip or fail, the likelihood is that the other prusik would not fail under the same conditions. - Check your prusik cord for wear and tear regularly. Make sure the double fisherman’s knot isn’t slipping and the cord isn’t abraded. When it’s looking worn, retire it and get a new one – cord is cheap. Available by donation. Set your own price, download and enjoy!